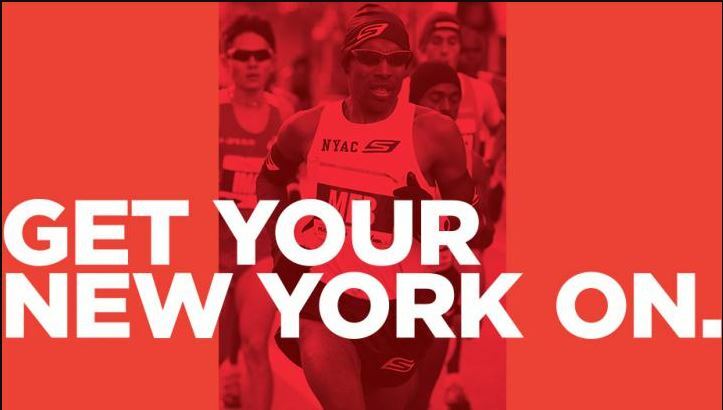 The TCS NYC Marathon IS Happening for Me This Year! So, here’s the thing with me and the NYC Marathon. Last year, I was fortunate enough to get in through the lottery on my very first try. Y’all, that doesn’t happen very often for anyone. As fortunate as I was, I had to defer when Brooke and I became a family of three. I deferred for financial reasons. I was unsure of how exactly our little guy was going to affect our finances. It was a wise decision. When I deferred, I learned that I could cancel my spot last year and have a guaranteed spot this year (provided I paid my race fee this year). 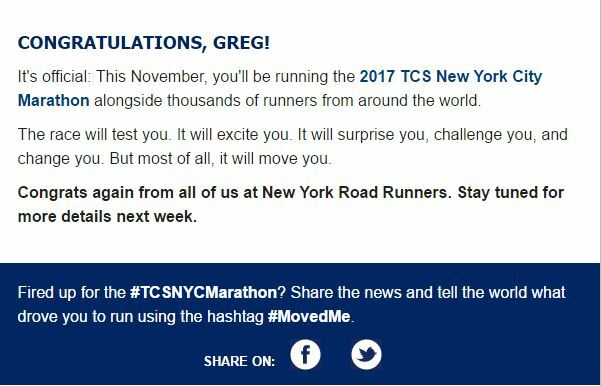 If you’ve followed this blog, you know I’ve been banking on running in the 2017 TCS NYC Marathon ever since I cancelled last year. To get there, I knew there were several gates I must get through first. First, I needed to pay my entry fee before the lottery closed. I did that and received this email from the New York Road Runners club when they announced who got into the race through the lottery. So, step 1 was accomplished. I had a spot in the race! Step 2 was to book a hotel quickly. One thing I learned in 2016 is that you want to take care of your hotel booking ASAP as hotels fill up for the marathon weekend rather quickly. Also, the NYRR sends out an email in late March/early April for you to choose your transportation to the start line of the marathon. 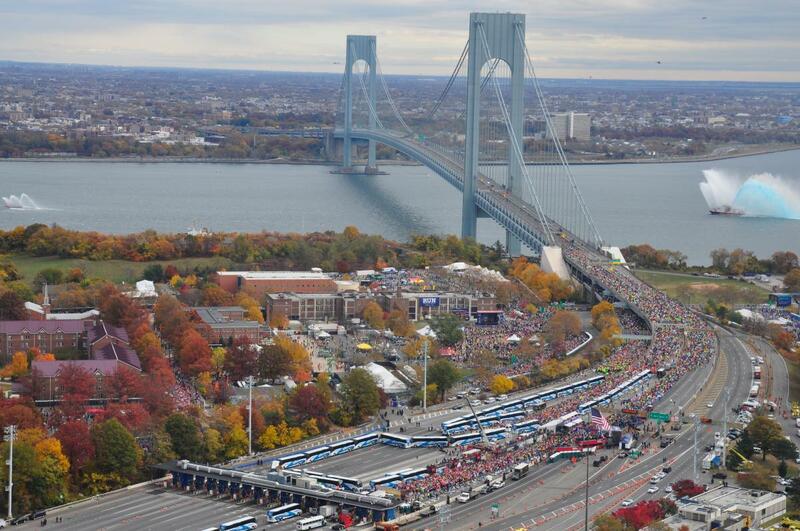 You see, the TCS NYC Marathon starts on Staten Island and heads up the Verrazano Bridge to begin. 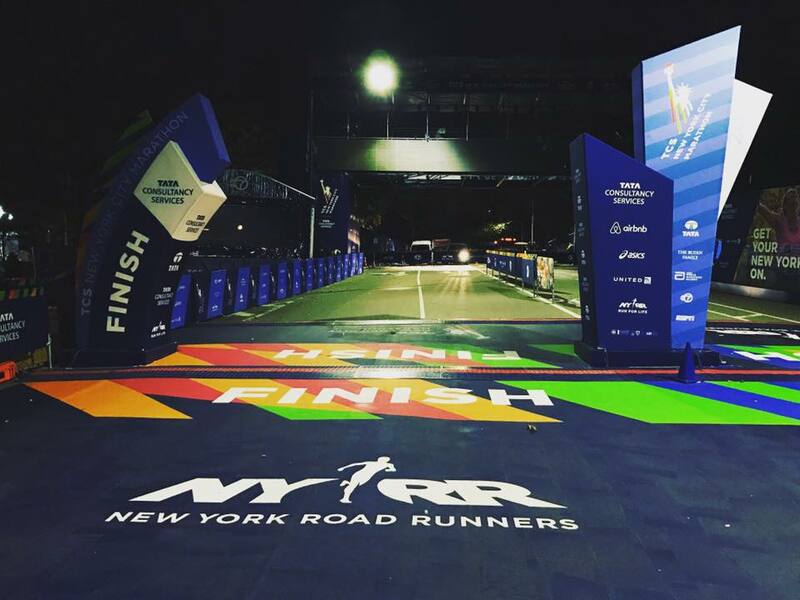 The NYRR offers 3 options. 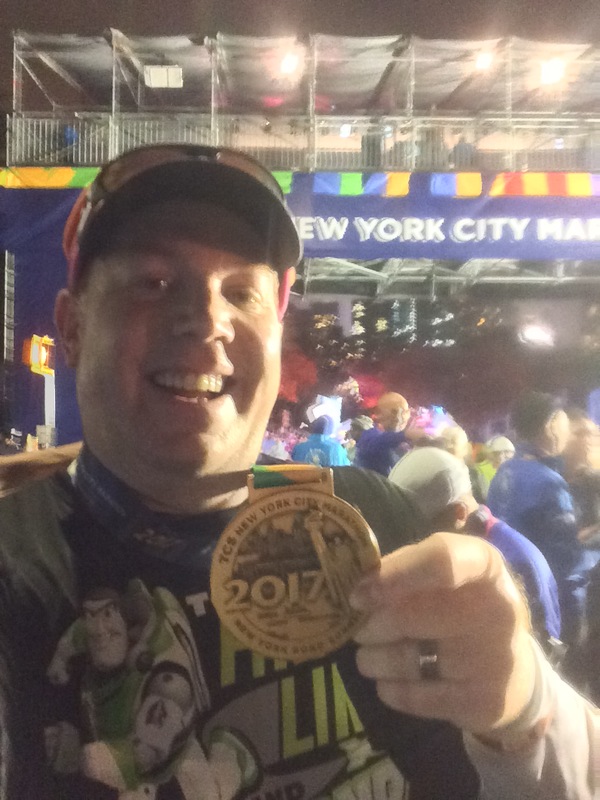 When I got in this year, I found a great Facebook group for folks running the NYC Marathon. 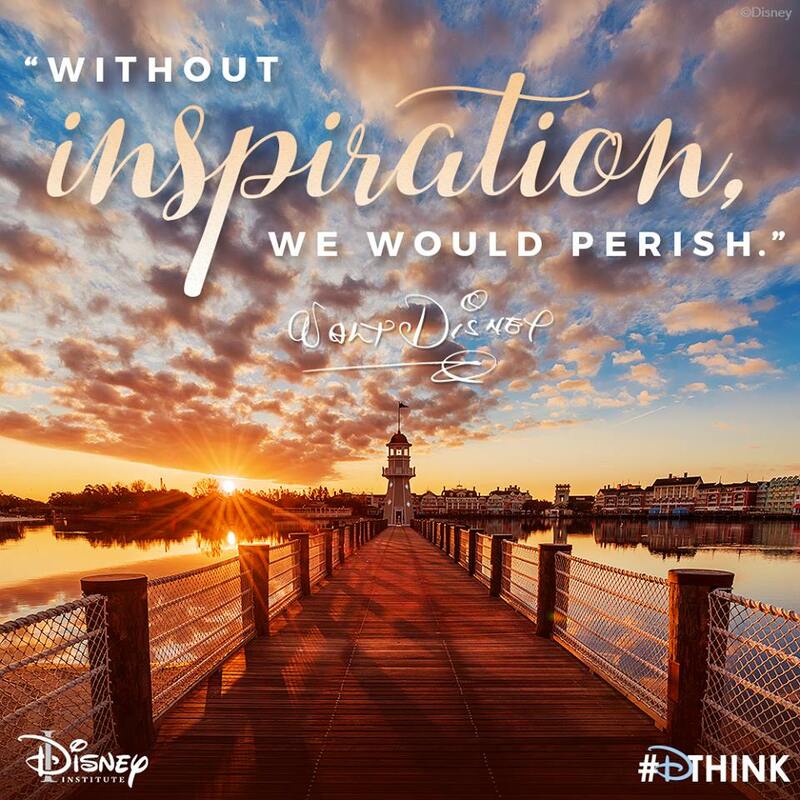 This group has lead to me finding out a lot of great information. First off, I found out that the buses in Manhattan leave from in front of the New York Public Library on 5th Avenue. One of the members of this Facebook group has run the marathon many times. So, he even had a web site dedicated to helping first timers out. I learned that, if I wanted to get on the buses, I’d want to find a hotel in the Times Square area. 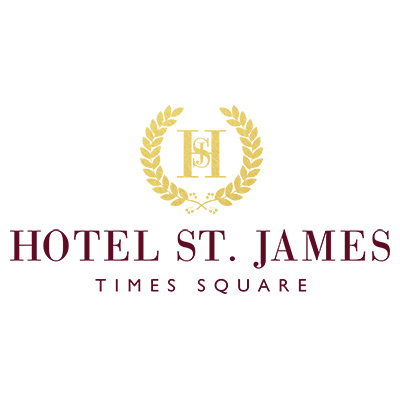 After a lot of research, I settled on the Hotel St. James. The location looks good according to the advice I was given. This hotel isn’t too far from the buses. So, I could walk to the buses if I want to go that route. It’s also close to the subway if I want to take the subway to the Staten Island Ferry. I’ve heard pro’s and cons for each. Fortunately, after all that work, the NYRR sent an email announcing that you won’t have to make your choice until June (or maybe July). 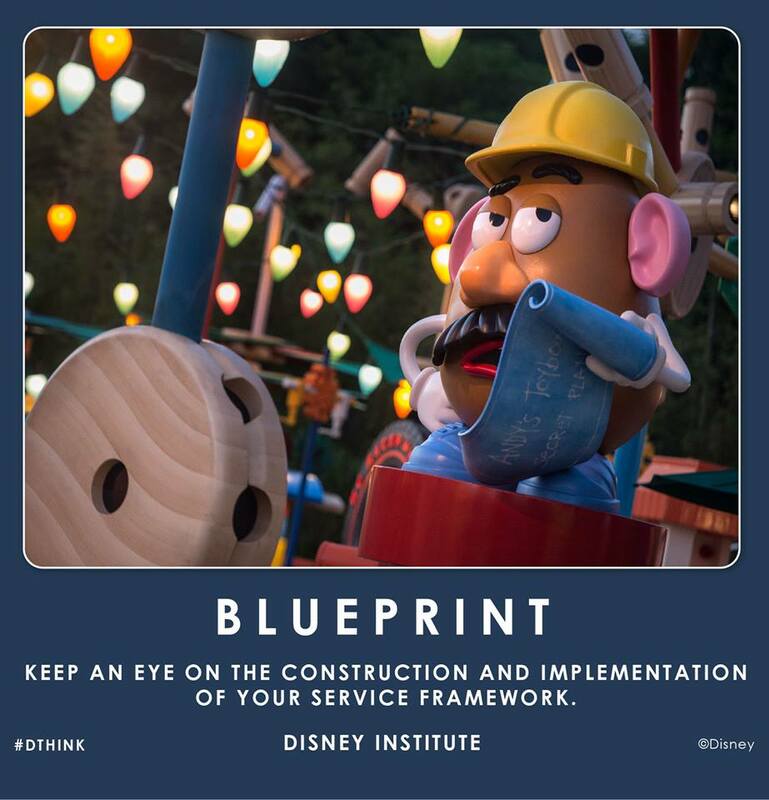 Either way, step 2 was finished. I had a hotel booked which set the dates I’ll be in NYC. I’m heading out on Thursday, November 2nd and will fly home on Tuesday, November 7th. Step 3 was to schedule my transportation to NYC. On Tuesday of this week, I finished step 3! This step was really the scary one to take. Why? Because, once the airline ticket was purchased, I was crossing the point of no return. I could always cancel the hotel and not lose money. The only money I would not get back was my race fee. No big deal. Since last year, it was the financial side that kept me from running this race then, I wanted to make sure I could afford to go this year. The past few weeks, I’ve working out the finances to create a budget (both for the NYC Marathon and the Rock n Roll San Diego Half Marathon). On Monday, when I plugged in all the numbers, I saw that I’ll get to go! The downer is that I will not be making this trip with my wife or boy. That does make me sad. However, I was counting on money that I received as a reimbursement for finalizing my adoption from the company I work for to fund this trip. When I received the money, it was heavily taxed and I did not receive nearly as much as I thought I’d receive. That meant that Brooke would be out of this trip. Am I happy about that? No. But, getting into this race is so hard and I’ve been dreaming about running it for a while now. I truly thought that it would happen this year or never. Yes, I could have cancelled again and put my name in for the lottery in the future. But, the odds are heavily against me getting in. Brooke and I have talked about this situation for most of 2017. When I saw how much money I received in the reimbursement, we talked some more. I have an amazing wife, y’all! She encouraged me to go by myself because she knows all of what I’ve said about this race in this paragraph. If it were merely a matter of going next year instead, I wouldn’t be going. I’d wait until we could go as a family. However, that’s not how the NYC Marathon works. It’s a lottery system were a very small percentage of folks get in. Bottom line??? 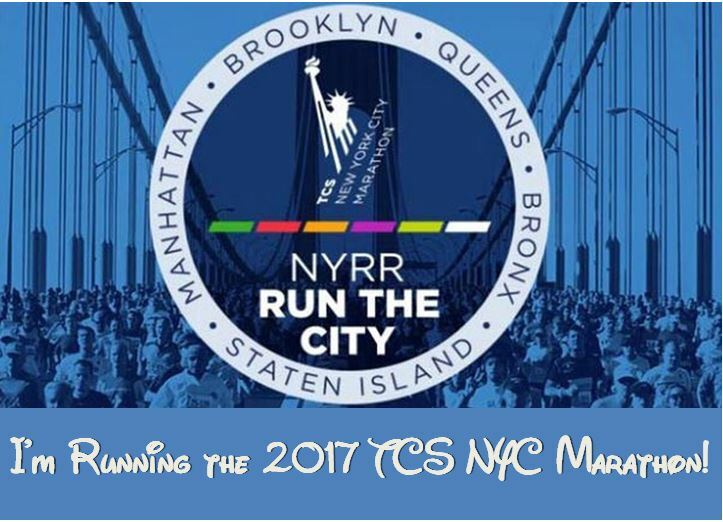 I’m heading to NYC in November to run the 2017 TCS NYC Marathon! The only thing that will prevent me form reaching the starting line now is injury or illness. 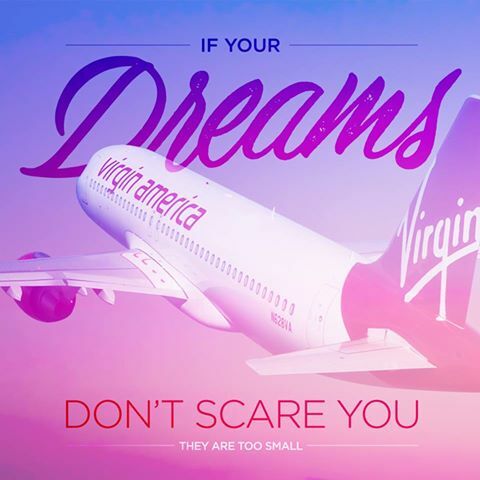 I have a non-refundable airline ticket (on Virgin America…thus the graphic). I have a non-refundable race entry fee paid. I have a place to stay…. 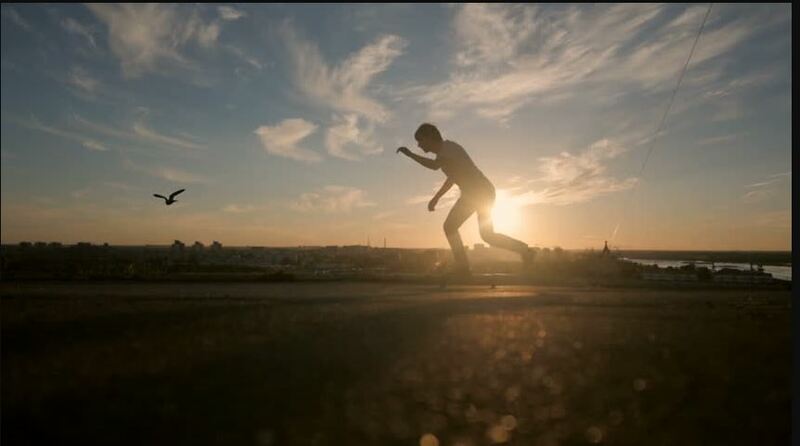 All that’s left is to follow the blueprint and train for the race itself. Of course my focus won’t turn to the TCS NYC Marathon until after the Rock n Roll San Diego Half Marathon in June. TCS NYC Marathon, this seems to be the way to go. Life has changed and I’ve been getting up at 6am on a regular basis because the boy doesn’t sleep much past that time. I’ll talk more about this transition in another post later. However, in spite of how much I dislike being up so early, those 5am runs are really my best shot at getting to that sub 5:30:00 marathon goal. In training for the marathon, I’ll have long runs of 11, 13, 15, 17, 20, 23, 26, and 29 miles. That won’t begin until June. For now, it’s enough to know that, barring injury, illness, or a bad race day, I’ll be crossing this finish line on November 5! this post makes me happy! I will say I took the ferry was glad I did (even though it meant cutting it a bit close in the village but i made it!) sleeping in until 7AM was so worth it!